Explanation: Today's date marks an Equinox and a New Moon. Remarkably, while the exact timing of both geocentric events occur within a span of only 13 hours, the moon also reaches its new phase only 14 hours after perigee, the closest point in its orbit. That makes the Equinox New Moon the largest New Moon of 2015, though hard to see since that lunar phase presents the Moon's dark, night side to planet Earth. 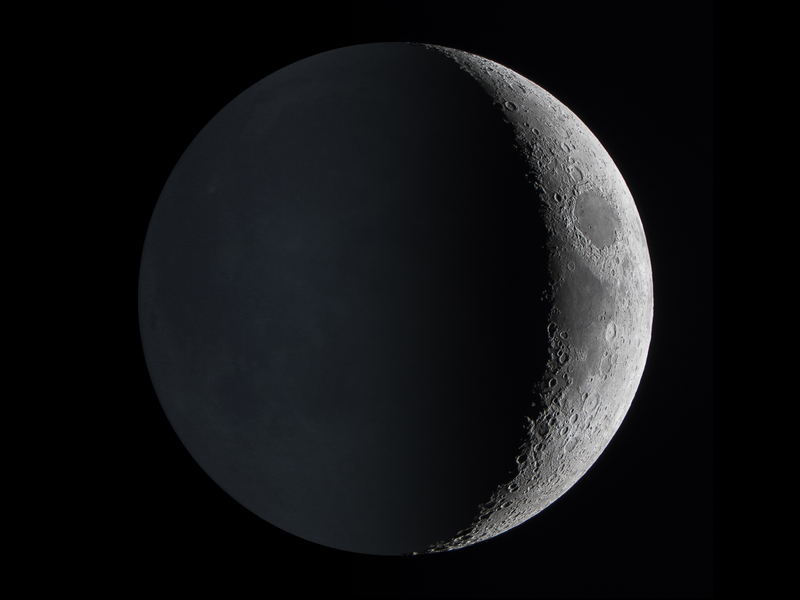 Still, in this well composed image of a young lunar phase from late January you can glimpse both night and day on the lunar surface, the night side faintly illuminated by Earthshine next to the day side's brightly sunlit crescent. But some will see today's Equinox New Moon in silhouette! The Equinox Solar Eclipse will be total across stretches of the Arctic Ocean, visible in partial phases from Europe, northern Africa and western Asia.